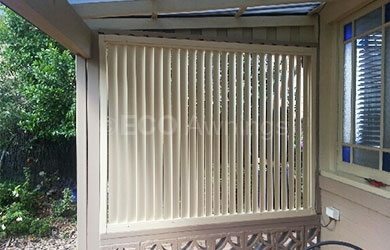 Our louvres are a great solution for privacy and sun protection. 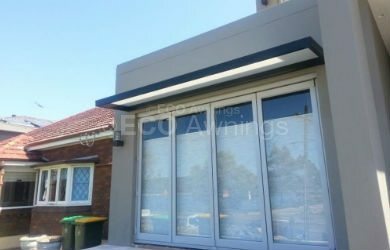 They are designed to comply with BASIX 85mm, 160mm and 200mm elliptical blades and can be cantilevered above a window or used as a privacy screen. 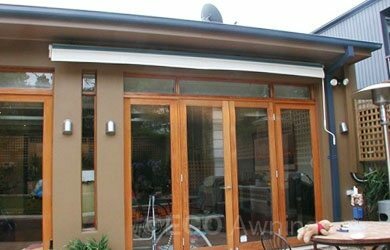 Carbolite Twin Wall Polycarb Awnings are used for rain and sun protection above windows and doors or as a covering for patios and decks. 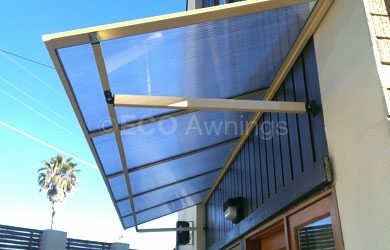 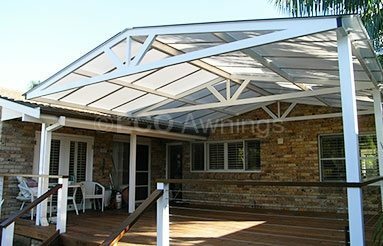 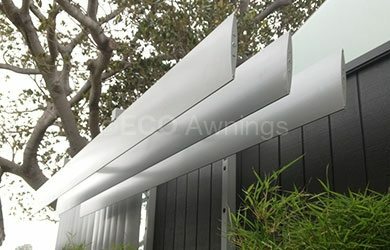 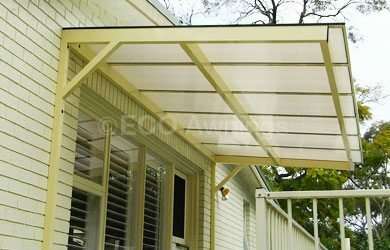 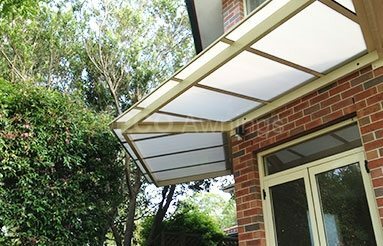 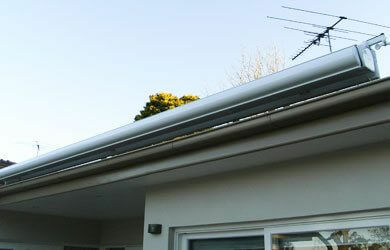 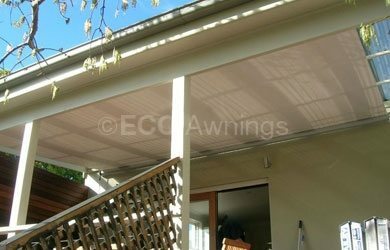 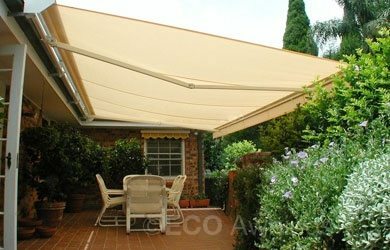 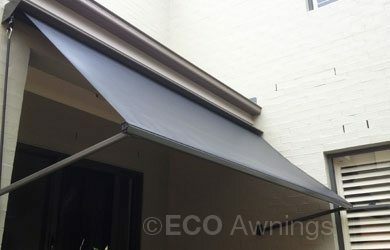 These awnings are made of 8mm thick polycarbonate and a durable, maintenance free powder coated aluminium frame. 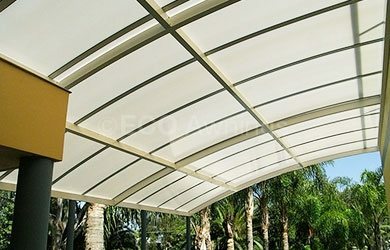 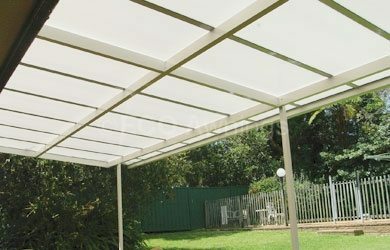 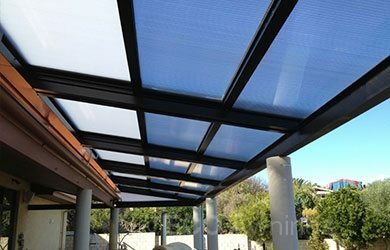 Fabric Retractable Roofs come in a choice of two designs: they can be mounted as a manual system under an existing patio to reduce heat in summer and increase heat and natural light in winter; or can be mounted as a fully automated system with two tracks running down the sides and a retractable waterproof fabric which can be used in all weather conditions. 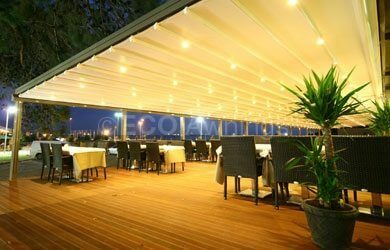 The Polycarb Retracta Roof is the most versatile solution for outdoor areas as it can be used as a normal patio cover in all weather or at the press of a button converts to a completely open outdoor space. 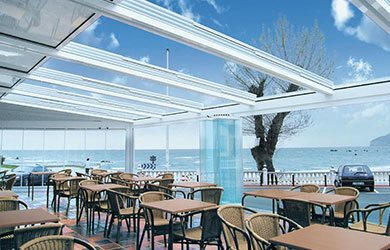 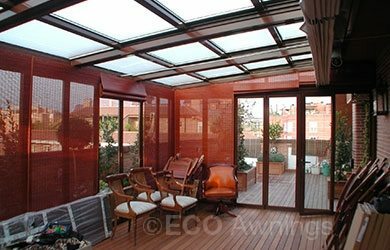 The aluminium frame comes in a range of colours and the roofing material comes in a choice of 10mm polycarbonate or 11.5 mm glass. 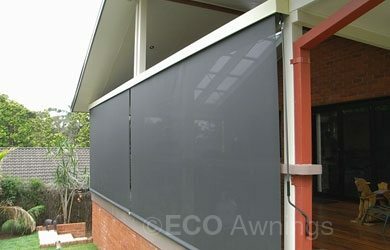 Fabric that drops down in front of a window or used to close in a patio reducing the sun, heat and rain. 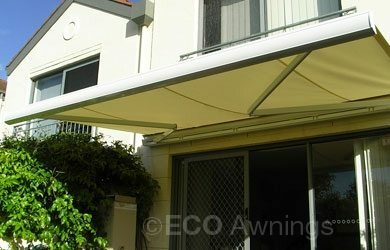 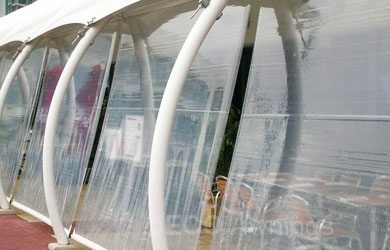 We use the latest technology in fabrics and PVC. 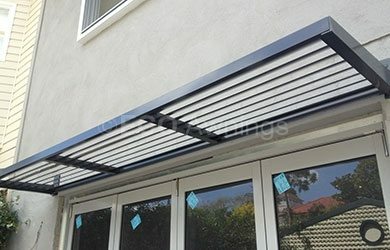 Folding Arms can be mounted above doors or a patio to create a covered outdoor entertaining area which can be fully retracted when not needed.